The ultimate saloon proves surprisingly affordable as a used purchase, making supreme luxury affordable for those of us without millions in the bank. So much more accomplished than its Audi A8, BMW 7 Series or Jaguar XJ as an all-rounder the S-Class is as close to motoring perfection as it comes. 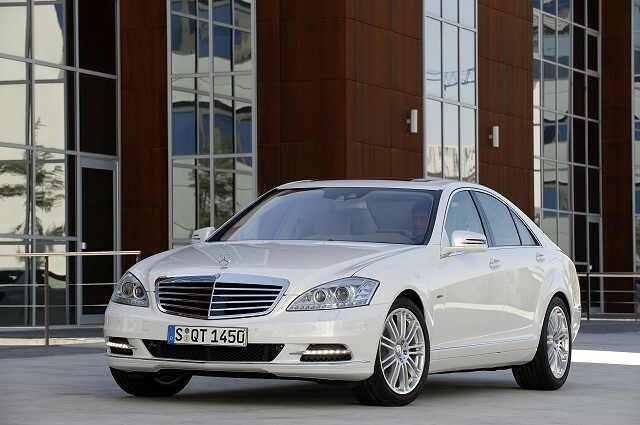 The Mercedes-Benz S-Class can trace its roots back to the 1950s, but the current car has been around since 2006. The archetypal luxury saloon, it’s an absolutely brilliant way to travel. A huge range of engine choices exist, from turbocharged V12 petrol units with prodigious thirst to match incredible performance to the sensible CDI turbodiesels. All drive beautifully, and being the flagship model come loaded with the latest equipment - particularly regarding safety. If you’re in the market for an S-Class then you’re a very lucky person indeed - it's often referred to as the best car in the world. Both long and standard wheelbase forms provide spacious, stately accommodation whether you’re driving or being driven. The engine line-up is extensive, though for every S 600 or AMG model Mercedes-Benz sells it must make tens, if not hundreds of turbodiesel engined examples. Older versions will feature the 320 CDI engine, newer models a 350 CDI, though either provides excellent performance combined with good economy. The S-Class is only offered with automatic transmissions, and in right-hand drive markets it’s only available with rear-wheel drive. Trim levels vary depending on engine choice, with cars like the S 600L coming with everything imaginable - yet still offered with an extensive list of options. AMG versions gain more sporting styling and equipment to match their increased performance. Even entry-level cars come with leather interiors, climate control and a vast array of safety equipment - including Mercedes’ innovative PRE-SAFE crash anticipating system. They represent tremendous value used, with four- or five-year-old examples available for the price of a new mainstream family saloon. It’s impossible to overlook the S 320 CDI model, as it mixes economy, dignified pace and low emissions in a very desirable package. Long wheelbase models are relatively scarce, though it’s worth seeking out a Sport if you can find one. It’ll come with all the equipment you could possibly ask for, and will glide you around effortlessly in supreme comfort for years to come. Just be sure to pick a safe colour combination - silver or black with black or dark blue leather interior.